(…holding up leg lamp…). Must be Italian!! 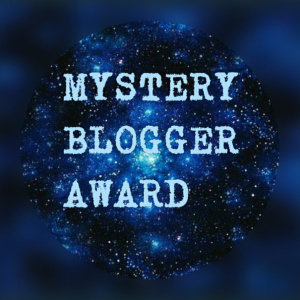 I’ve been nominated for the “Mystery Blogger Award” by J.S. Pailly over at Planet Pailly, and I’m humbled that I made his personal cut list. The award was created by Okoto Enigma, as a mechanism for bloggers to recognize each other, and shed light on some of the more obscure sites (I qualify on that count, at least!) that deserve some more attention. So while I recognize that this sort of thing is like the chain letter of the digital era, I’m choosing to appreciate the sentiment, that being that folks who read the stuff I’ve been shouting out into the void actually appreciate what I’m doing and want to encourage me to continue. For that, I’m appreciative, and grateful, particularly when that feedback comes from bloggers whose content I also admire and enjoy! So in accordance with THE RULES, here’s some other info about me that might not be on my site. 1 – I’m a pilot. Not the professional-starched-white-shirt kind, but the love-to-go-put-a-small-plane-on-a-remote-grass-strip kind. I don’t get to do enough of that, but I’m hoping to share some upcoming adventures that involve taking a small aircraft to the trailhead, or close. (Hence, “Flying” Squirrel). 2. Professionally, I’m an Aerospace Engineer (fits with the pilot thing) who started with aspirations of getting into astrophysics and/or interplanetary exploration (ala Dawn, Cassini/Huygens, etc). I switched into atmospheric flight mechanics after deciding that the decades-long mission duration and million-mile separation from the spacecraft was probably not enough to keep me connected on a day to day basis. (Hence all the astronomy interest). 3. My first love is the outdoors, and more and more I’m looking to spend time there, because out in the woods away from civilization seems like the only place that makes sense these days! Plus, as a society, I’m really worried about our tendency to delve more and more into artificial constructs and connect to the world through a screen. I want to use that addiction to draw people back out – we’re becoming ecological hermits, oblivious to anything not of our own creation. 1. What do you want to be when you grow up? I’m still trying to figure that out. But I’m lucky enough to get involved with a lot of different things, and as I keep learning (never stop!) I keep evolving. Every day I try and capture a way to learn something new, and little by little, I fall into a different community, and become a different person. Maybe I’ll never land. 2. What book has had the most influence on you? Tough one, but I’m going to probably have to say Tolkien’s Lord of the Rings, inclusive of The Hobbit. I got into the tales of Middle Earth during impressionable youth right about the time it was being amplified by Dungeons and Dragons, etc. (Yes, I’m that old, and I am a geek). 3. Has a movie ever brought me to tears…? Truth be told, almost all of them do nowadays. I don’t cry at the sad stuff, though. I tear up about kids achieving goals, the bittersweet feelings of a parent in seeing your kids succeed but knowing that means they need you less. I channel the sappy stuff into my own life and it gets me. I’m very proud of my own kids. 🙂 Also, really good music strikes an emotional chord with me. 4. If you were a dinosaur, which dinosaur do you think you’d be and why? Well, using the accepted modern definition, I think I’d like to be a Raven. Sociable, resourceful, curious, and playful. If we’re going with the older dinosaur definition that doesn’t include modern birds – Regardless of my choice, I would be dead now, and that’s sad…. no thanks. 5. What will be the title of your autobiography? I have no plans to write it, and if I did, I’d probably be embarrassed about it. But I hope that I’d be able to look back and see “A Life Well Lived”. Finally, I’m supposed to share a link to my own favorite post – but that’s REALLY a challenge. I have developed distinct groups of followers that track me for Astronomy, for Outdoors Skills, for Photography. My YouTube, Instagram, Facebook, and WordPress/Email followers barely overlap, if at all (I encourage you to check out my other mediums, by the way…), and I’m not catering to anybody… I’m just “me”, so picking a FAVORITE is like choosing your favorite child. I will highlight my most spontaneous post, the one that I wrote most from the gut, that time when Washington DC put schools on high alert because a bobcat escaped the zoo. Only Facebook followers tended to pick up on it at the time! SO, passing along the torch, there are a few bloggers that I’D like to nominate for this prestigious honor! It’s a rule-breaking short list, partly because I haven’t been engaged with this community for very long, and partly because many of my favorites and those who have engaged me have already been nominated. Making choices like this about people I don’t really know has been the most challenging part of writing this, but these bloggers appear philosophically similar to me, focused on a common theme, and their own local (very different) geographies. They are sites that make me happy, that entertain, educate, and draw me in. They may not be household names, but they’re sharing with the world in a positive way – and that deserves some attention! 1. If you could live in any place, in any kind of dwelling, where would it be and why? 2. What type of music forms the soundtrack to your life? 3. Describe one thing you wish you were better at. 5. What is the most important thing you’d like readers to learn, or experience, from your writing? Good answers! I was secretly hoping somebody might take the birds are dinosaurs too approach.